Haruki Bando (Ryusei Yokohama) is a first grade university student. He has been doing judo since he was little. but an injury causes him quit the sport. His childhood friend Kazuma Hashimoto (Masaki Nakao) also quit judo and asks Haruki Bando to form cheerleading group "Breakers" with him. 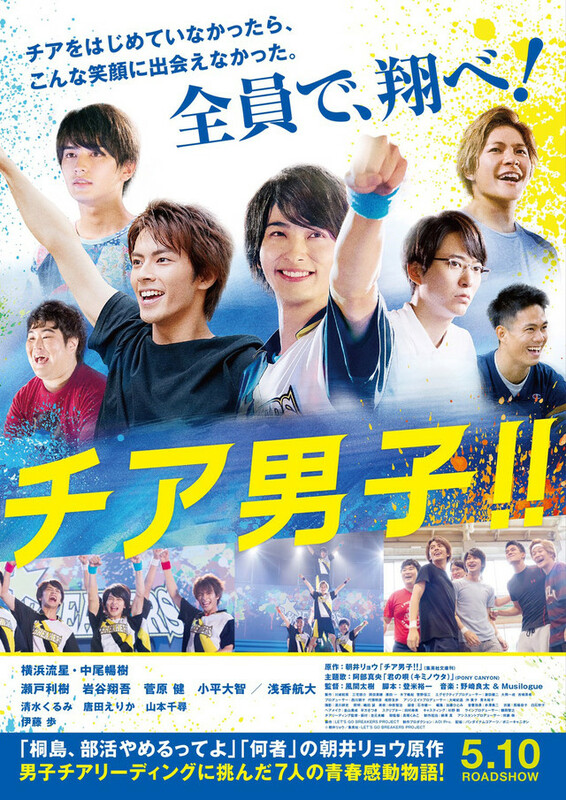 Based on novel "Cheer Danshi!!" by Ryo Asai (published October 5, 2010 by Shueisha). Lila Mar 11 2019 5:29 am Somehow, it gives me the vibe of Tumbling dorama I watched months ago. I loved it.